After months of heightening tensions between Turkey and Greece, Turkish President Recep Tayyip Erdogan has come out and called for peace and cooperation with its neighbour. “Now we want peace, peace with Greece is worth more than anything,” he said on Saturday, broadcast on Turkey’s NTV. Erdogan also praised Greek Prime Minister Alexis Tsipras, claiming they are on the same page regarding country relations. “In Greece, Tsipras as a prime minister is young and dynamic and he has a desire for new steps and the president is on the same page; I saw that on my recent visit and in the same spirit I saw the Greek president [Prokopis] Pavlopoulos,” said Erdogan. As a sign of moving forward, the Turkish president proposed the two Greek soldiers currently held in custody in Edirne, be exchanged for the eight Turkish servicemen who ventured to Greece seeking asylum. “They asked us to give the two Greek soldiers back and we told them there are eight soldiers who tried to make a coup. First, you have to give them to us. If you give them to us, then we can put the others on the table. Because they crossed the border,” said Erdogan. It is not the first time Turkey has demanded the serviceman be extradited. They were granted asylum by Greece’s Supreme Court on the basis that they would not have a fair trial with Turkey. Branded as ‘traitors’, there is also a significant chance of them being tortured. Meanwhile there has also been uproar in Greece over the two Greek soldiers being kept in custody who accidentally crossed the Turkish border on 1 March. Without any formal charges against them, the European Union Parliament convened on Thursday and issued a resolution calling for the immediate release of the soldiers to Greece. What was particularly significant in Erdogan’s appearance on Turkish TV, was the president’s acknowledgement of the persecution of Greeks living in Turkey over the years. “In our country, the number of our Greek fellow citizens was not a small one; there were tens, hundreds of thousands. And from the mistakes that happened in our country, many Greeks left for Greece. As Turkey, we have also made mistakes,” he said. 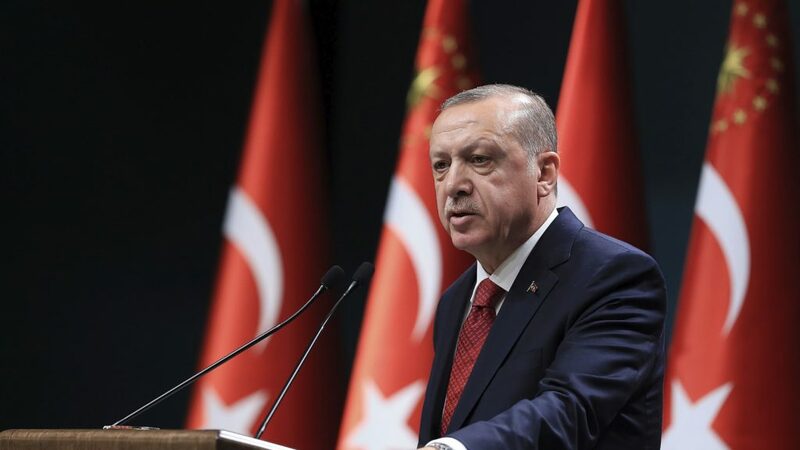 The declaration follows Erdogan’s announcement last week calling for snap elections in June – well over 12 months ahead of the original date they were scheduled for in November 2019. The elections will see a new political system come into play, which will increase the powers of the Turkish President. Erdogan claims the system needs to be rolled out sooner rather than later to deal with current challenges, including the fight against Kurdish insurgents in Syria and Iraq.